Making consistent money is probably the number one goal all new freelance writers strive for, right? There’s a ton of advice out there – a lot of it on my blog – about how to land your first client and grow your freelance writing business. But, sorting through all those tips and strategies can make a newbie have analysis paralysis. 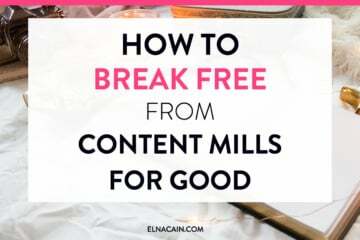 All of sudden, instead of going out there and pitching your little heart, you’re stuck at a dead end 9-5 job unable to piece together the steps to getting paid to write online. You don’t want to know EVERYTHING about freelance writing; you just want to learn how to make money with your words (hint: it’s using job boards as a newbie!). I get you. That’s exactly how I started as a freelance writer. No training. No experience. I had to learn the hard way, make many mistakes and try and try again before I finally figured it out. 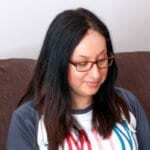 And while I have a couple of courses that can help you land some consistent work, for today, let’s just focus on where to find a freelance writing job using job boards. And to make it easier, I’m not going to bother on ALL the ways to land a writing gig; I’m just going to focus on one. Because one way is so much easier to focus on, take action on and actually get out there and DO IT. So, what’s the quickest way to land a freelance writing job? Some of the big freelance writers don’t recommend using freelance writing job boards. Why? Well, they feel the quality of projects are low and the pay is low too. But, I disagree. I’ve told my story numerous times that I got my break on a job board. It was the BEST thing that happened to me. I gained confidence. Before I landed my first freelance writing job, I had an incident that almost made me quit entirely. At that time I kept thinking that, I’m NOT a writer. I didn’t have a journalism degree. Heck, I’m not even the best writer out there either. So, when I finally landed my first writing job, boy oh boy, did my confidence shoot through the roof. You can see that even though there are ways to land work without using job boards, if you’re brand new, this is the best way to find consistent and long term work. But, not all job boards are the same. Here are my top five picks. 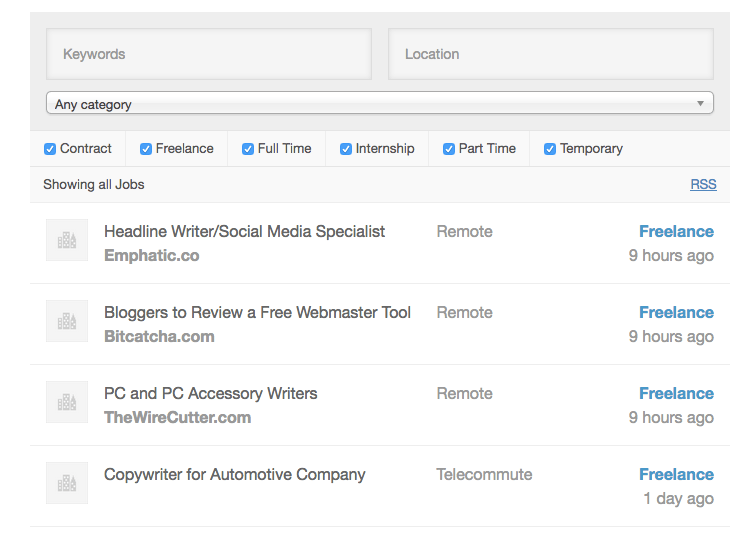 Contena is a job board that curates all jobs online – and not only from other job boards. While this is a paid job board, I like the fact that I have the option to sort through jobs by category, or by niche. 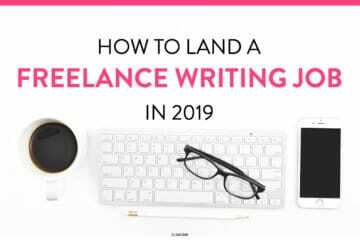 I just don’t have the time to go through all the job boards out there and for a lot of freelance writers, you should spend the bulk of your time on tasks that will result in a positive outcome (landing work). With Contena you can do that. Another nice feature of using this paid job board over others is Contena Alerts. These are alerts that come to you inbox daily. You set the alerts with the criteria you want – like rate or category – and Contena will only give you only those matches. So, instead of using their platform, they notify you instead! Contena also has Pro Rates which shows you the average rates within an industry (travel writing for instance). This data is taken from actual freelance writers and from company information. So, if you’re new and want to see how much you could make in your niche, Contena Pro Rate can help you figure our your rate. If you’re interested in signing up to Contena, use my special 10% discount code elna10. You get 10% off any option or 10% off each payment if you choose the payment route. AND if you pay in full you receive a 20% discount PLUS your coupon will stack on top of that! ProBlogger is one of the free job boards and for a lot of writers, this job board is considered one of the best out there for free job boards. I used ProBlogger a lot when I first started, but it can be a bit competitive since many bloggers and freelancers know about this job board. They recently updated it and now you can search by keyword – your niche – to help make it easier to comb through the ads. If you’re new to freelance writing, definitely go here to see what’s available. A lot of these jobs aren’t high paying, but if all you want is to finally land a job, consider using this freelance writing job board. Pitching is all in the numbers, so be prepared to pitch multiple times a day on this job board (or any job board) to land a gig. You can click on a job source and only look at jobs on that platform. Or, you can just see what the listings are for the day from the Freelance Writing platform. You can filter results by using a keyword or you can see what’s available by date. I like this job board because it does grab sources from Craigslist and other job sites, saving you time when you are pitching. BloggingPro is a free job site that sorts jobs via type – Freelance, Internship, Contract, Part Time or Temporary – so when looking through the listings, make sure it says “freelance”or the location says “anywhere”. I personally haven’t landed a gig on this platform, but I know other established writers have sworn by this site. As the name implies, you’ll probably find a lot of blogging type gigs, but that’s not to say you won’t find other types like blog management or copywriting. All Indie Writers is a great blog for freelance writing tips. 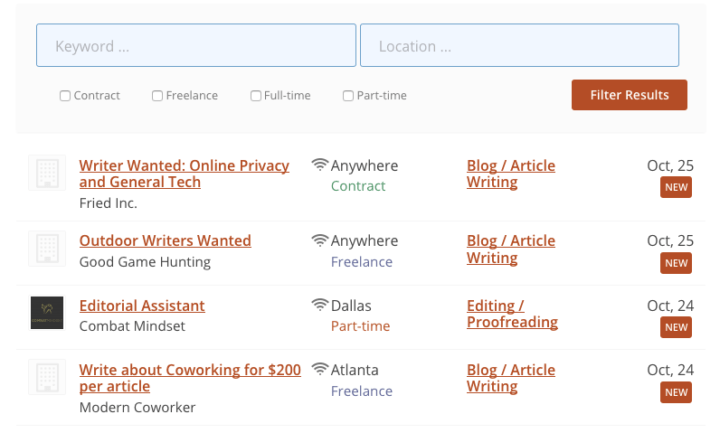 There’s a freelance marketplace to see what publications pay as well as a freelance writing job board that curates jobs from multiple places including Craigslist. Jennifer, the owner, offers the pay range in the short description. This saves a lot of time and helps you sort through jobs based on price. This job board is free and you can even sign up to the RSS feed to be alerted of when new postings occur. There are a lot of freelance writing job boards out there. Some of them are paid, like Contena, while others are free, like ProBlogger. As a new writer, spend most of your time trying to land work. This means pitching to job boards every day. Good luck! 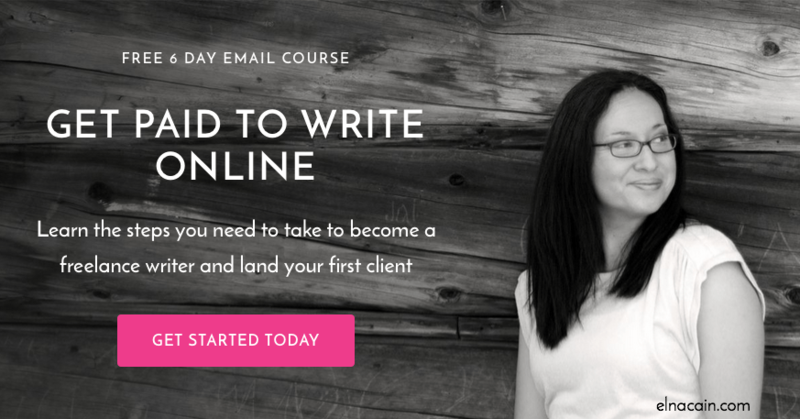 And to help with that I have a free course on getting paid to write online. Sign up to my free six-day email course and get even more actionable tips to help you succeed as a freelance writer. Elna, As a new freelance copywriter, with not a paid gig to show for myself so far, I appreciate the effort and empathy you have put into these instructional blogs encouraging people like me to make like Nike and just do it. I have made it my goal for today to secure some -any – form of paid gig I can. There seems to be a lot of symbolism wrapped up in that act. Don’t give up 🙂 You have to show up to make it and that means hustling every day when you are a beginner freelance writer. Pitch every day, multiple times a day and you will succeed! Thanks for the great article, as always every article of you make me learn something I didn’t hear about before, for the last 3 weeks I’ve been reading your posts non-stop. Thanks so much! I’m so happy you are enjoying my freelance writing job posts! That’s a great tip about the reddit group! Thanks so much! Great article as usual. Thank you for always making everything fairly easy to comprehend. I am new to freelance writing and I have jitters about submitting a pitch. When submitting a pitch will I need to use a source to write the article? I have some samples I am working on, but the company has a mandatory Article Reference section. I did not use any outside sources to write my pitches. Would you recommend that all pitches include sources? 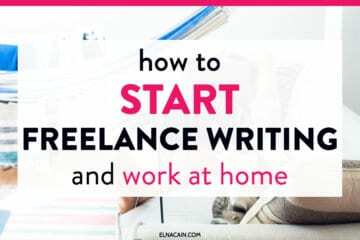 I don’t know what it is, or what it wasn’t before, as I have looked at countless “how to” introductions to Freelance Writing, but this is the first time I feel the “YES” factor, and am excited to give this a try. I never trusted Job Boards from all the negative feedback I have come across, but it makes sense to cut your Freelance “writing teeth” on them, whilst learning how to pitch and market yourself as your grow in confidence. I am so glad I came across you (or you came across me) as this is exactly what I need to get me off and away. Thank you so much! I’m so happy you found this post helpful and it resonated with you to take action! That’s what I strive every time I write a blog post to help freelance writers! May I request? Can you suggest a the best part time job as a writer(the job that has no schedule).Because I am a student and I cannot estimate where is the time I should work. Thank you very much in advance Elna!. I was checking out some of this boards and many of them where asking for a long resume. Since I am kind of new in the freelance arena I would like to know the easiest way of star getting a new portafolio. Maybe you can advice some tips or jobs stereotypes to beging with. Thanks in advance. This is really good advice! I’ve been considering creating a resume for myself lately because so many job board gigs are asking for them. You’re right, though. I’m not applying for a job, I’m proposing a collaboration. Thanks for this! I’d also like to know how many times do you recommend I should send out each day? Yes, it’s all in the mindset! As for pitches, if possible send out 10 a day for a set time! Hi Elna! Thanks so much for providing such amazing advice and support for us frightened newcomers! Maybe this is common knowledge, maybe it isn’t, but do you recommend getting some business insurance in case something goes wrong? I’ve met a few ghostwriter bloggers who recommend this step, and I was wondering if you do too. You can get liability and media insurance for your sole proprietorship too if you’re concerned which I hear is very affordable in the States. This is all just my opinion and experience, so it’s good to double check with your accountant too! I have been thinking about trying my hand at freelance writing for quite sometime, and possibly transitioning from my 8-5 job permanently if all goes well. This is the second post I’ve read from you, and both posts were great!! You offer such good advice and recommendations! I wasn’t sure my writing would be good enough to land gigs and build clientele, but your posts have made me confident that I can become a successful freelance writer. Thank you!! That’s great to hear! I’m glad you found some great tips on the blog. Good luck on landing your first client! My name is Tiffany Amero. I’m a stay at home mom trying so desperately to find something to do at home in my spare time. I have two kids and recently seen an ad for contena. My problem is I am my worst critic. I would love to try to do this at home but my biggest fear is not having an education underneath my belt to be successful. Do you really need an education to pursue this? I’m happy to hear you want to be a freelance writer as a stay at home mom! It’s the perfect job! You DON’T need a formal degree to be a freelance writer. You can learn on the job no problem! I’m personally at a point where I’m moving away from job boards and starting to cold pitch publications since I’ve landed some great, consistent clients. But I do agree that these are great places to start & will share this on my social media for the newbie freelancers I help. That’s great you moved out of job boards. It’s the right thing for freelance writers with clients under their belt. Good luck with cold pitching! I have a question about looking for jobs on these websites as whenever I’m clicking on their postings, 99% of them are asking for a resume. If you’re technically becoming your own boss, why would you need to have a resume? And if that is what I need to have, where would you begin to create one since you have just started? As for a resume, I would just give them my portfolio and a write up of my experience. There is no need for a resume. Love this list! As someone who is constantly investigating what online job portals are actually worth freelancers’ time, finding industry-specific sites like these can be a gold mine. 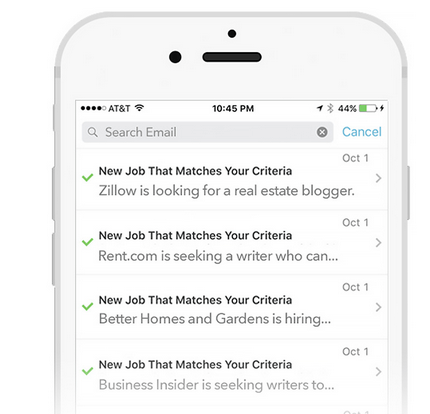 Too much time is wasted on general sites that are flooded with applicants. This was one of the first blog posts I read before I got started. I’ve been hustling ever since! Reading it again is almost nostalgic (even though it was only 3 mos ago!). I feel like I’ve come such a long way and many of the information I have and tips I use have come from you! Yes, I like to re-read old blog posts of mine 🙂 ha… So happy to hear you are succeeding! Quick question: Would this work for students who want to earn some money on the side too? Yes! As long as you have a Pay Pal address, then you can do some freelance writing! This is exactly the kind of info to get me out of the “analysis paralysis” phase. I have confidence in my writing, although it’s mostly been academic (essays and research papers for college students), but I wasn’t sure where to turn as a newbie, and this is extremely helpful! Thanks MILLION! Thanks so much! Happy to hear you are interested in freelance writing. I’m a stay-at-home mom with twins (they will be four years old tomorrow!!) and I’ve been freelancing since they were 2 years old. It’s been fabulous. I was able to make a full-time living only working part-time as a writer within 6 months! That’s great and good luck! This is such a great article in addition to your course. I love how many resources you have for people (i.e. me) trying to get into the freelance world. Thank you so much for sharing your knowledge for all of us! That’s awesome. I really like job boards. Even though I don’t use them all the time, I like going to them and seeing what kinds of jobs there are. There are some good quality and consistent jobs on these boards!